Although often viewed as a painful process, root canals are an effective way to remove the pain you feel from a decayed or infected tooth. The dental profession has come a long way in the area of root canals. 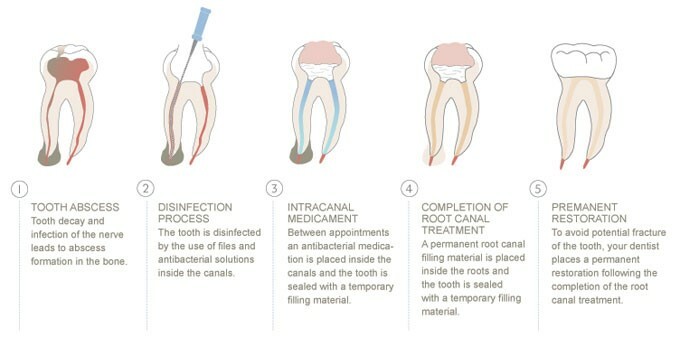 It is important to understand that root canal therapy does NOT cause pain, it RELIEVES it. Root canals are routine procedures that are required when a cavity (bacteria) affects the nerve of a tooth. Once this area is compromised, the tooth becomes infected, and may or may not result in pain and or abscess. The root canal procedure is similar to having a filling done, but requires more time, as we remove not only the decayed portion of the tooth but the pulp as well. Often times, following a root canal procedure, a crown will be recommended for the tooth to prevent it from future breakage. 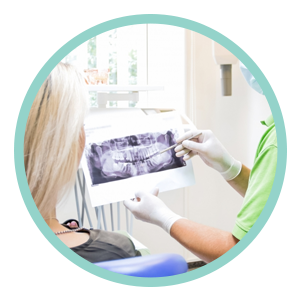 Before suggesting a root canal, we ask that you come in for a full evaluation to properly diagnose the situation and proceed with the most effective treatment option. If a root canal is recommended, and you are anxious about the procedure, we can offer you medication OR nitrous oxide to help create a relaxing environment. You can experience the peace of mind that comes from knowing that we are doing everything possible to make your experience as easy and pain-free as possible. To schedule your consultation, or with any questions or comments, get in touch with us today and let us help relieve you of your pain.